Fun Fact: I’m a great cook! I have grown from being terrified of the kitchen to it being a hobby and perfect way of getting in my self-care. Cooking has allowed me to be in tune with my mental health and emotions. I was led to HealthCorps by my previous experience in school level health and wellness. I realized how important preventative care was early on in life and the huge gap that exists within health education in schools. I thought back to the health education I received and saw how HealthCorps has transformed students lives and gives them an opportunity to have a healthier life. 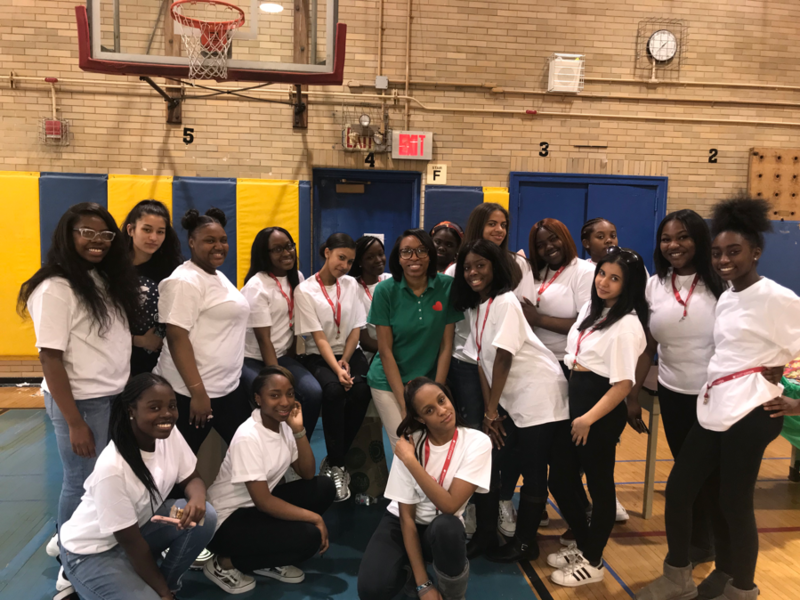 My success during an internship at the NYC Department of Health made me realize that I could be a serious change agent in schools and wanted to get first hand experience doing just that once I finished graduate school. The opportunity HealthCorps presented sounded exactly like what I was looking for and would test my knowledge, experience, and grow me as a public health professional. HealthCorps was an opportunity for me to truly walk in my purpose in life. The best part of my placement so far has been seeing change happen first hand, right before my eyes. 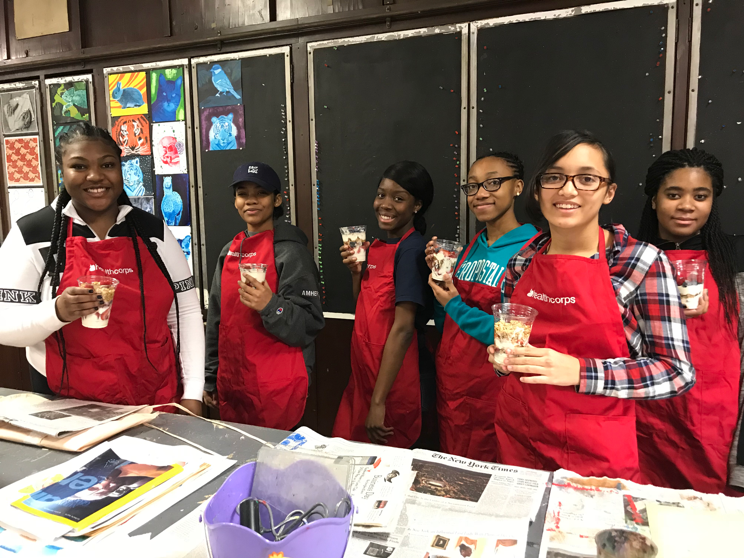 Students are so excited to tell me they’ve stopped drinking sugary beverages, are eating healthier, getting their family members on board with their health goals, or that they’ve joined a team to increase their physical activity. Their excitement is rewarding because it let’s me know what I’m doing here is working; it’s creating sustainable change. 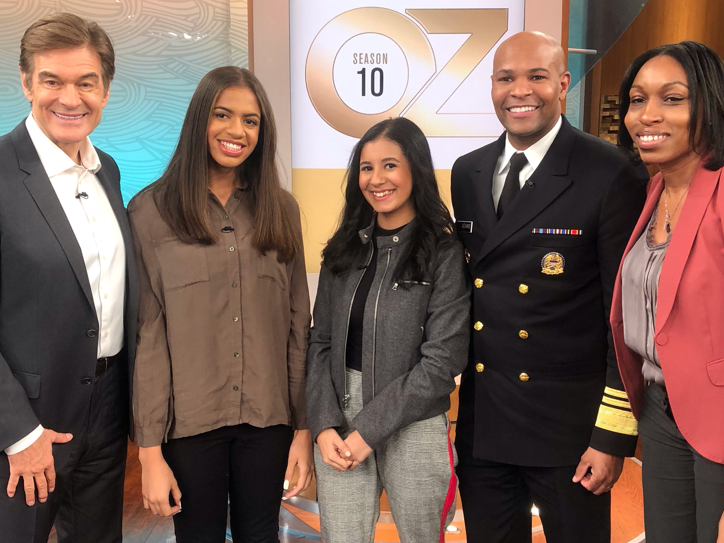 I also love the unique opportunities that are in New York City through HealthCorps such as the Annual Gala, health & wellness events, and even for my students to be on The Dr.Oz Show! I have also served as a guest lecturer for The Fortune Society and had my blogs appear on the company website. One of the most memorable parts of my placement was putting on a health fair. I never thought in a million years that I would be leading an event that large. It was intimidating, exciting, stressful and fun all at once but most of all it strengthened my belief in my abilities. Outside of the classroom I am involved with advocacy work for women’s health and reproductive justice. Women are faced with so many health issues that are not talked about as often as they should be. I wanted to be a voice for the women who are unable to speak up and have a seat at the table in order to ensure women’s health is a priority, not an option. I also serve as a guest speaker for comprehensive health education and youth development events. I love serving as a mentor to inspire youth to pursue their dreams, make informed decisions, and helping them find their passion. After my service to HealthCorps, I plan to pursue leadership positions in the public health field. I have a serious passion for public health and want to be a leader who is ensuring that the same fire I have in me is present in others. I am pursing my CHES (Certified Health Education Specialist) credentials which will help me along my career path. I also plan to brand myself to become a health and wellness influencer writing blogs, publications, and being a guest speaker/guest lecturer/panelist for public health, health education and promotion events or conferences. One thing I have learned from my placement that I will be able to carry with me as I move forward in life is to listen more and be less reactive. People have a tendency of listening to reply/react instead of listening to understand. Being less reactive has made me not only a better professional but a better person over all. The feedback I receive from co-workers and colleagues truly has pushed me in the right direction. Even with students, a lot of the breakthroughs with them happened because I opened my door and was willing to listen – not judge or be critical – but come from a place of understanding and then give the best advice I can. Students are not always comfortable with talking about sensitive subjects such as stress, addiction, or body image for instance but listening first has allowed them to open up to me about issues with their health, where they stem from, and figuring out how we can work together to fix them. I have students that stop by my office on a daily basis sometimes to be mentored on a health-related issue other times they just want to vent or have a safe space. Being a safe space for people, especially youth, builds trust and a sense of community. Listening first will build upon my character in becoming an effective leader.